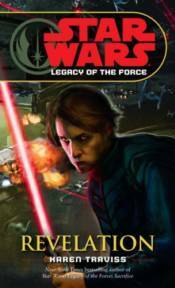 In this eighth installment of the Legacy of the Force series, Jacen Solo is approaching the height of his dark powers. And no one--not even the Solos and the Skywalkers--knows if anything can stop this brutal new Sith Lord before his plan to save the galaxy ends up destroying it. Original.